Since the first Norm Reeves Superstore opened in 1999, the Norm Reeves family of dealerships has focused on two essential pillars of the customer experience: Super Prices and Super Selection. We work hard to understand what drives our customers and to ensure we are meeting their vehicle needs. That is why we place such emphasis on Super Prices! 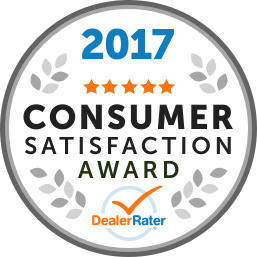 When you purchase a car or truck from one of our expert staff members, you will never have to wonder if you got a great deal. Our very first Superstore introduced our Price Protection Guarantee, a policy we still stand by today. The guarantee simply states that, "If you can find the same new Honda for less within five days, Norm Reeves Honda Superstore will pay you the difference or buy your car back." We also extend our guarantee to those customers who choose from our inventory of used vehicles. Our 5|5|5 Used Car Protection Plan offers a 5-day trial exchange, as well as 5,000 mile and 5 month warranties. Of course, our Super Prices and deals wouldn’t be anything without a Super Selection. Why spend your time working out a great deal when the car you want isn’t available? 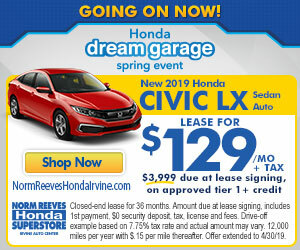 To get the true shopping experience that our customers deserve, we make it a point to offer a vast selection of models, colors and trims in our inventory of new and used Hondas. We had a Wonderful experience buying my son’s first car. Kasem was on the ball and found him a stellar deal with a great look and price. The staff are super friendly and very helpful! They helped me buy my car very quick, they are very good at how they do their jobs!